There has been a mixed reaction to the recent announcement that Hearthstone will be split into two formats. Pro players have generally welcomed the move, while casual players seem to be divided on the matter. On Reddit, the main source of complaints is from people who were hoping their GvG cards would last for a longer time. While the Blizzard argument is that players can play those cards in Wild, it is natural that people will want to play Standard, as it is the format that will decide who is this year's World Champion. One thing that seems to have been generally accepted is that the changes will lower the barrier for entry to new players. They will not have to make up as much ground as if they had to get cards from multiple sets, and the creation of Standard is clearly helpful to them. The topic of most heated debate is how badly this will impact free to play players. 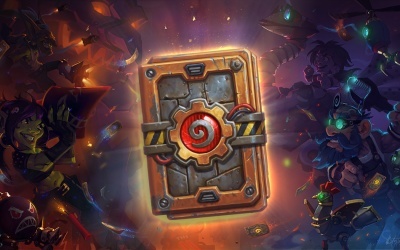 Those players argue that they will now have to get cards each new set just to keep up with the meta, and that their old cards will be obsolete. My problem with this argument is that was going to happen anyway, it is just better defined now. At the other end of the spectrum, two players who have spent over $6,000 each on Hearthstone weighed in. They both have huge golden collections. Max posted on the Battle.net forums that: "This change utterly destroyed my appetite to further spend any money on the game". His opinion is that Wild is not a format he wants to play, and that his money has been wasted. Against that, Matt Cauthron posted on Reddit that "I think this change is not only great but also necessary for the long term health of the game". The same split of sentiments can be seen here on Icy Veins. It seems that the debate will continue until the new set is released. My own views are that the introduction of Standard is good for the game. I do however have a lot of sympathy for people that have recently made investments of gold or dust into GvG and Naxxramas cards to be competitive on ladder. Those players are definitely getting the worst deal from the changes. It will be of no consolation to those people that I believe that after a few months this will all be forgotten, and the game will be in a better state. "spent over $6,000 each on Hearthstone"
On the one hand, I shouldn't criticize how anyone chooses to spend their money. However: you spent $6,000 on a card game? This is definitely a first world problem. I get the disappointment felt that the game you payed for is being altered in some way: but it's untenable to have a consistently fair game that expands continually over time without a fix of some kind. Either the cards you invested in will become obsolete (due to power creep) or the game will stop existing (because the barrier to entry becomes too high). Imagine if chess had a new piece added to it once a month. That's stupid, right? At some point the board would need to be expanded. Or some pieces would be shelved. "But I just spent $6,000 on those diamond-coated pawns!" These changes are just the reality of a collectible card game format. Welcome, one and all, to reality. Try not to over-spend. If you're going to spend 6, 000 dollars on a card game, that is your own fault - Things change - That isn't the fault of the devs, either. You need 30 cards in a deck. Not more, not less. This means that the barrier for entry does not have to change, unless blizzard makes broken legendary/epic cards (looking at you, Boom/MC). CW has been here forever and he costs a ton of dust. On the other side of age, you have new-ish Secret Pally that can be built with a third of the CW's cost.